This book sounds wonderful!!! What a fantastic review!! I,too,love to read of Darcy and Lizzy being confined and having no choice but to converse with each other to pass the time. This then,gives them a unique opportunity to learn more about the other before,perhaps,preconceived prejudices come to the fore. Thank you for the review. I am off to Amazon to purchase. Thanks for reminding me about this book. I can’t believe I haven’t read it yet. Will definitely pick it up. 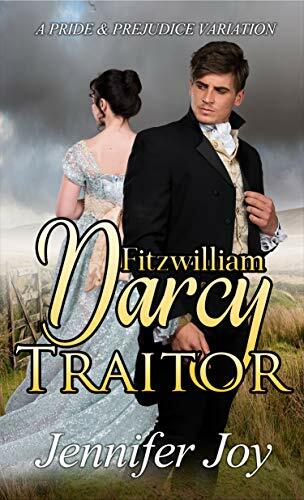 I too loved this book Rita, I totally agree about the strength of the love between Darcy and Elizabeth. I especially love books that have them together from the beginning and solving problems together so this was definitely a winner for me. Ha, yes, forced to communicate and get to know each other. I love that about the snowed, flooded, or locked in scenario. I do love that there is much more to it and we get to see their love tested. I haven’t read this one yet, but I will. Loved getting your thoughts, Rita! I read and enjoyed this book, also. Thanks for sharing here. I love Jennifer Joy’s stories. I hope it comes out an audio book soon.